This private community borders the Carlton Preserve with miles and miles of trails for horses, hiking and biking. 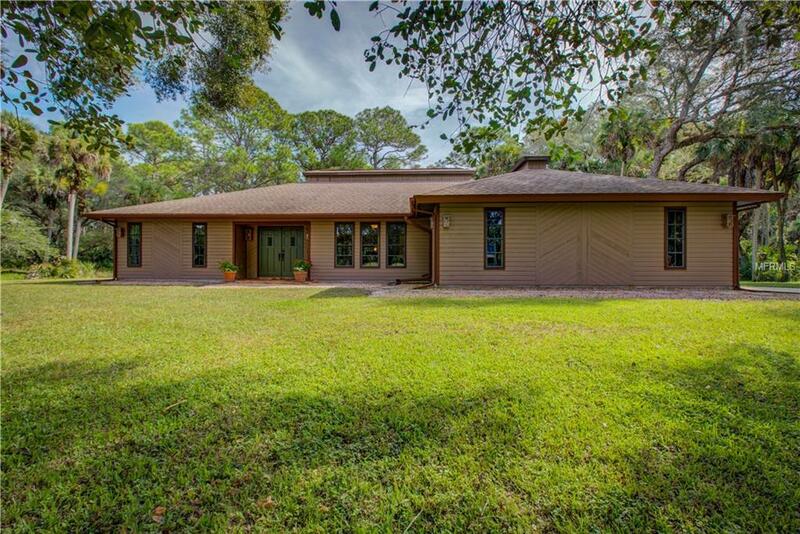 This updated, move in ready house, on 5 acres backs up to a canal popular for fishing. The front of this parcel can be used as a pasture for horses and cattle, while the back has walking trails for roaming. Youll enjoy a beautiful view of this natural setting from every room. As you enter the front door you are welcomed into a living room that immediately pulls your eyes to a relaxing outdoor view. The kitchen has loads of work space on the seamless quartz countertop, to include a breakfast bar, with numerous 42-inch cabinets for storage with soft close features in all doors and drawers, and slide out shelving in the lower cabinets. You have 2 living areas, 3 bedrooms, 3 full baths, a shed measuring 12x16 in addition to an oversized 2 car garage. Updates include a NEW A/C 4/2015, NEW DRAIN FIELD 7/2015, NEW REFRIGERATOR 7/2015, NEW STOVE 7/2015, NEW DISHWASHER 7/2015, NEW WASHER 5/2015. There are NO HOA fees and the taxes are much lower because Woodland Estates is in the county side of North Port. Come take a look and feel free to roam the trails enjoying nature at its best.